REDUCED SIZE EDITION The powerful headlight beams from approaching cars in the background created a magical effect burning away major portions of the image and casting a veritable rainbow of complex colors on the entire scene. 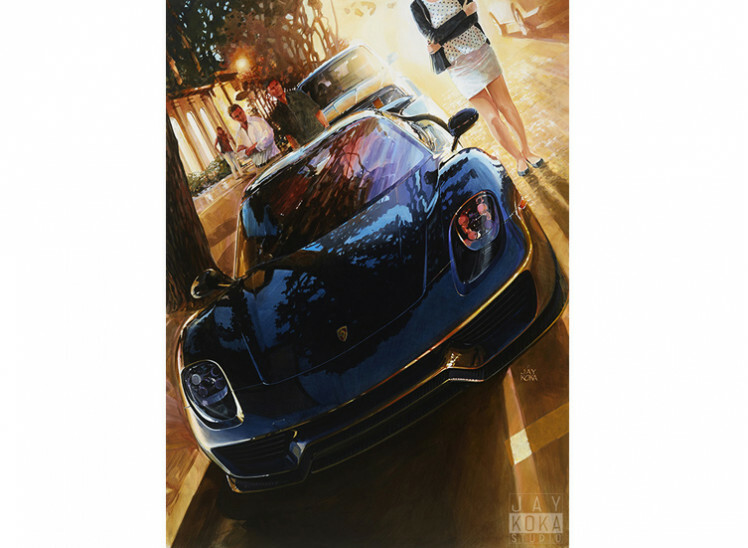 Add to that the effect of the tailights of cars already passed on the front of the 918 and the result is an interesting balance of colors from corner to corner of the painting. 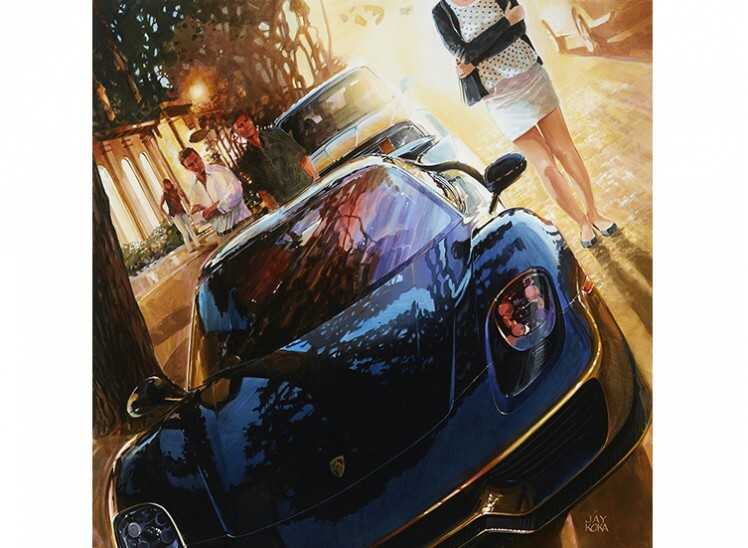 Features the outstanding Porsche 918. 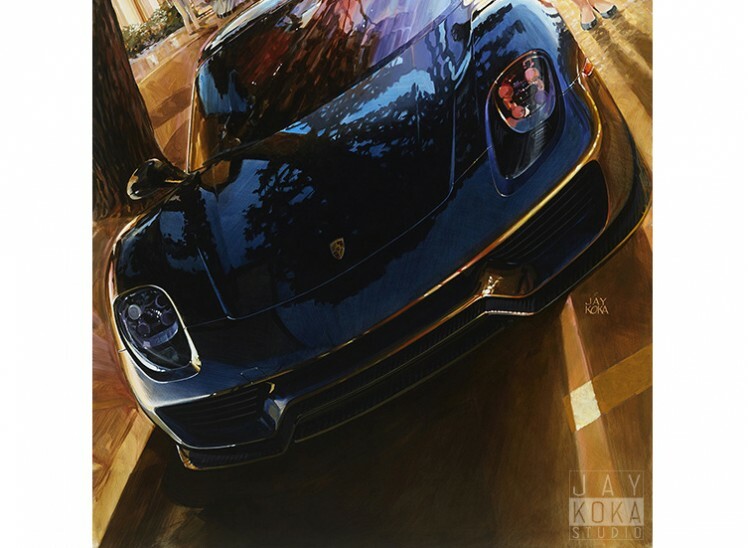 This major new work premiered at the AFAS Exhibition at the 2016 Pebble Beach Concours and won an "ATHENA AWARD OF EXCELLENCE 2016". SHIPPING: Shipped rolled requiring stretching on arrival. Shipping for Canada and US INCLUDED. For Europe, US$45, please select SHIPPING item from "Shipping, Books&Media" Category.